Spoilers: They tried to live without their hearts…Jamie and Claire the years apart – My Outlander Blog! After hearing the distressing noise, Lord John approaches the door thinking of perhaps going into the room to see if Jamie is alright. He hears heavy breathing and realizes that Jamie has awakened from a bad dream. He overhears the big Scot talking to his lost wife, “Could I but lay my head in your lap, lass. Feel your hand on me, and sleep wi’ the scent of you in my bed”. John knows he shouldn’t be hearing this extremely private conversation and tries to back away quietly. Before he gets away he hears Jamie sob and then whisper, his voice full of longing and pain, “Christ Sassenach, I need ye”. Cue me, ragged intake of breath and leaky eyes. I’ve been rereading The Scottish Prisoner by Diana Gabaldon, my favorite of the Lord John books. Last night, I reached the scene where Lord John Grey hears Jamie cry out as if he was having a nightmare. This is one of those scenes that causes me to take an involuntary sob. The characters have become so real to me that I feel invested in their lives and experience moments of crippling compassion when I read of their moments of distress or pain. I feel what John feels and what Jamie feels and have to put the book down and take a moment to recover, laugh at my silliness, and curse and simultaneously love Diana for writing books and characters that can move me this much. I’ve often wondered if Diana feels the kind of empathy I do when she writes. Does she have to take a break and recover, does she smile through her tears at the beauty of these poignant moments she has written? Diana has written many moving scenes in her novels, but this particular scene gets me every. single. time. I’m curious as to why this scene, in particular, makes me so…so…verklempt! Reading that scene and “overhearing” Jamie’s private moment with his vanished wife makes me feel like I’m right beside Lord John trying desperately to get away from that door. Like Lord John, I want to go into that room and offer Jamie comfort, but I know there is nothing I can offer that would comfort him. With that realization, we can now think of nothing worse than Jamie knowing his private pain and moment of grieving was overheard and we are quietly careful as we move down the hall. Loved Diana’s metaphor of John missing a step and coming down hard as he escapes detection. Hearing Jamie longing for his dead wife brought John back down to Earth hard. The heart wants what it wants, but John is a realist and no fool. He knows this man will never be his. This man will never be his because his heart belongs to a woman and a ghost at that. It’s Claire’s ghost that I find myself thinking about this morning and Jamie’s as well, the ghosts of their lost love. I think this scene affects me so much because it is one of those rare moments when we get to see what Jamie is thinking and feeling. We can guess how lonely he has been without Claire, but this overheard private moment confirms it. He is trying to live without his heart and having a tough time of it. He needs her. Time hasn’t cured this. A decade separates him from that moment on Craig Na Dun and yet, his need of her hasn’t lessened. His grief feels raw to me. I’ve also been thinking this morning about the print shop and how the TV series is going to get us there. I know there has been some speculation because people can’t wait to see our couple back together. They want to get to the “good stuff”. I understand that is “good stuff” and I would love to see them stay as faithful to that scene in the book as possible, but the show has to think about viewers other than book fans. I am reminded of an article I read about adaptations and good story-telling. “…even if that’s not truly what I want, or what best serves the story…”, the truth is those moments at the print shop need to be earned. They need the context of knowing what has come before. It will not be enough to segue way from Claire’s realizing Jamie might still be alive to her going back through the stones. Viewers will need to know what life was like in the in-between. And, whether we want to admit it or not, we book readers will too. Those moments at the print shop are meaningful and moving because of what happened in those twenty years apart and who Jamie and Claire were without their hearts. They are starved for each other’s company and face the despair of knowing they will never again have the kind of mutual love they shared. They long for each other and when I read of their longing my heart aches for them. Too many of us can relate to their need to go on living despite devastating loss. In Claire’s case, she pushes forward for Bree and Jamie for Fergus, William, Jenny, Ian, and their children. They go on…they exist. Diana lets the reader see that our beloved couple are never far from each other’s thoughts. She paints us a picture of two people who truly aren’t complete without the other. Diana chose to tell Voyager in a mixture of present day with flashbacks to the past that slowly builds the suspense and intensity of emotion. The search for evidence of Jamie’s survival is then followed by the reality of the Dun Bonnet’s real story and we see the names on the Ardsmuir roll sheet in the flesh. We get glimpses of the deprived and lonely existence Jamie led. We are then transported to the inner workings of Claire’s marriage of convenience. We will need to see what life was like for Claire. I know this isn’t a popular idea for many fans because it means more Frank. But, to ignore what life was like for Claire would not serve the story well and lessen the impact and meaning of the print shop reunion. These glimpses of life with Frank are sprinkled throughout the story, but it makes sense to me that the show will need to rearrange things and tell the story more chronologically. What was life like for Claire? She made a promise and I believe truly tried to make it work with Frank. She did love him, but what ever she feels for Frank pales in comparison to what she feels for Jamie. Frank believes they can make it work. He needs to make it work because he loves her, but her heart is irrevocably Jamie’s. As a result, what started out straight and good and true becomes a twisted convoluted mess. One of the few looks Diana affords us of Claire’s life with Frank comes from her remembrance of the night he died. Not a very flattering portrayal that, but in his defense, what’s a man to do? What’s a man to do with 20 years of knowing your wife loves someone else? When I think of that particular icy night, warped things come to mind; intentions, plans, relationships, and love. You know what time and pressure do to a lump of coal, right? A diamond. Time and pressure left us no gems here. What happens when feelings get suppressed? When time and pressure are applied to that suppression? Anger. Resentment. Emotion doesn’t stay inside the skin. Feelings can never be fully suppressed. They find a way to come out and sometimes it’s sideways. I think some sideways feelings got straightened out that night. He breathed heavily, almost a snort. 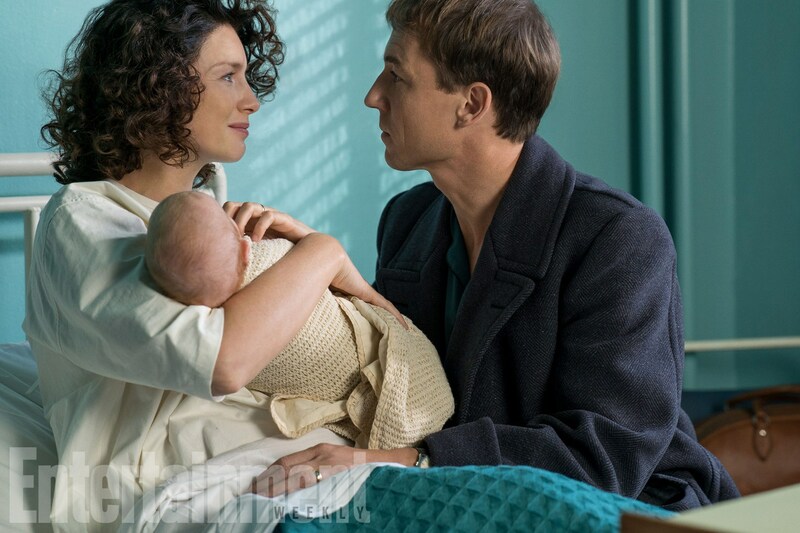 The last straw had been reached for Frank, but it also served to let us see how impossible it has been for Claire to love anyone but Jamie and to live without him. The show foreshadowed this with Breanna’s comments about her mother living in another world. She is present physically, but she left her heart in another time, another place. She is living a life she no longer wants, but tries for Bree’s sake. The story will be best served by the show showing us how empty and difficult their lives were without the other. So, when the ‘voyage’ finally leads us back to the print shop, as viewers, we will be entirely invested in the reunion of these two lost souls. Lord knows, the sailing will never be smooth for these two, but at last they will be together and nothing else will matter. Yeah,…we need to see the years without their hearts. Lines ‘from the bottom of my heart’, dear Beth, and very well put at that! You are perfectly right with your analysis and also with its ‘consequence’, let’s just hope the script writers of the third season agree on that too! I’ve experienced very similar feelings reading especially those captures and many more, and asked myself the same questions about my emotions. Wow! Loved reading this! Great observation and connections! 🙂 T Y – and have a lovely weekend! Just reading your comments bring the tears back. For the first time since the series began, Claire and Jamie are truly separated…because they think they will never see each other again. It is difficult to read what they have to go through for twenty long years before they are finally reunited. I’m curious as to how it will be portrayed in season three…not just the knowledge of the experiences, but the inner turmoil of both characters that will help non readers understand what makes this a special series. I only hope that they can do justice to Voyager in only 13 episodes…I would have done 26 episodes and split it up into two seasons. Time will tell if Ron/Outlander family can deliver. Good luck! The simple answer to your curiosity is “They cant do it justice on film”..only the written word filtered through the human mind can evoke all the nuanced feelings of Love Lost and Love Found. I’m finding I have room to appreciate both. You are right, but I find the series can sometimes deepen my understanding. There are advantages to seeing emotions on an actual person’s face! Well, now I’m spooked. Beth, how do you do this?? Couldn’t sleep last night so at 3 am, I picked up my iPad and reread the printshop scene. Next I started The Scottish Prisoner. This has been in my Kindle library since 2011–never read it. Now here you are writing your usual insightful piece addressing what I had just read. Boggles the mind. I wonder if the printshop scene will become another standout like the wedding, Wentworth or Faith. I agree the buildup will be a necessary component to fully appreciate the magnitude of their reunion. I’m all in and will relish each scene. 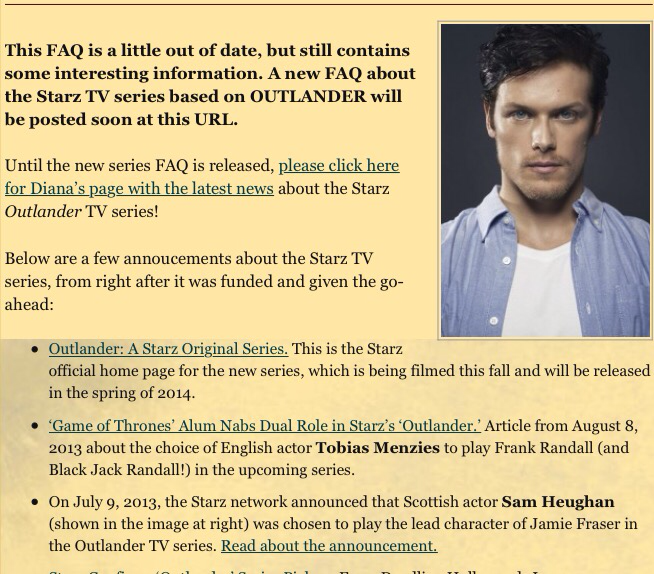 We are so fortunate and I’m so grateful to DG and Starz, cast and crew. My thanks to you, as well. You add so much to the experience. Thank you Patty! And the answer is I can read your mind! Awesome writing. You have quite a talent. I was brought to tears several times. The print shop scene is so pivotal to us all. Like so many others I am very much looking forward to it. Thank you. Yes, as much as I am on the edge of my seat to see how the show plays the print shop reunion, I do believe we need to see their separate lives. Won’t that make the print shop that much more special? I believe so. Like you, there are moments in the books when I sob (if someone’s within earshot, I usually try to stifle it…lol). Seems ludicrous to have tears rolling down one’s cheeks when you’re reading a book! And it doesn’t seem to matter how many times I’ve read the books, those moments are still fresh, poignant, raw, REAL. DG is a weaver of literary magic. I am so moved by all the insight to this Beautifully written saga,,,, Thanks for all the words and I let tears flow sometimes. I have never been so in love with a book and or Books in my entire life. I read a book back in the 90’s “Knight in Shining Armor” by Jude Deveraux, Then another call “Ride the Wind”, by Lucia St. Clair Robson. a couple of my favorites but this OUTLANDER Tops all and the writing is so deep, I just can’t put into words how I feel until I read what all of you say and there it is. all my thought and feeling so Thank you for this. DG is the best!! I always enjoy reading your posts. You write what we all ‘know’ but have never really put into words. I thank you for that. Loved your perspective. You put into words what I feel about the books, the TV version, the relationship of Jamie/Claire…….that I could not express more beautifully. I am also amazed by the emotions that DG can bring us all to. I had the chance to tour Scotland last month and was thrilled to visit Colloden……..I didn’t realize how much I knew and understood of the history and the impact of that haunting place from reading and watching this beautiful story. Oh, you are so right. I just got back from taking my 16 year old dog for a walk, ambling leasurely through the the park. I came to the scene of thier first morning at Lallybroch. Tears threating, the whole way home. My emotions were on edge, so I flick on Facebook and come across Beth’s blog for the first time. Half way through, I have to stop, to reread outloud to my husband of 5 years. (We were first sweethearts at 14 and lived apart for 30 years) by the time I finished reading it, I had tears streaming down my face, voice quivering towards the end of every sentence. It’s been about 9 months at least since I’ve read The Scottish Prisoner. I’m sure I’ll read it by morning. This is why I love writing a blog. I get to hear wonderful stories like this. Glad you found me! Another great one, Beth. I would like to see some of The Scottish Prisoner scenes/dialogue in S3. I agree whole heartedly that we need to live and experience that time spent apart to truly appreciate the print shop. My suggestion for those who do not want that to happen for whatever reason is to allow the story to breathe. Thanks! Beautifully written, Beth. I echo all of the replies above by saying you captured the essence of Voyageur for me. We need to see their grief to experience their joy. Keep going! Love this blog. (I’ve never read Scottish Prisoner.) now I’m going to hope they include that scene, so poignant. And I’ll have to read SP too. I love the way you keep making the case for the tv show to be true to the truth of the novels without just trying to duplicate the novel. People who keep demanding literal fidelity to the novels drive me nuts! Beth, your thoughtful, grateful, reasonable words make me smile. I think seeing and experiencing what Jamie and Claire go through while apart will help book readers and non-book readers realize the depth of Jamie and Claire’s love for one another. I also think that their separation helped them realize how much they need each other because they have time to think and reflect, unencumbered by the mission that occupied their minds before their parting. Absence does make the heart grow fonder if two people complete each other in a way that no other person on earth can possibly approximate. I’m hoping that the series shows the desolation of Jamie’s and Claire’s lives without each other, so we believe and feel invested in their joyous reunion. There is no joy without sorrow, no triumph without tragedy. On the other hand, these two will not escape the consequences of their 20-year parting. Thus is life, messy, heart breaking and totally worth the effort. Thanks again! Thank you ! Loved your comments! First, this:“… the truth is those moments at the print shop need to be earned. They need the context of knowing what has come before. It will not be enough to segue way from Claire’s realizing Jamie might still be alive to her going back through the stones. Viewers will need to know what life was like in the in-between. And, whether we want to admit it or not, we book readers will too.” EXACTLY. As others have said, just reading this analysis and it’s reminders of what’s to come has brought everything I felt reading those scenes for the first time bubbling to the surface. We’ll all be sniffling soggy messes, but when we get to those scenes in the printshop and beyond, they will be a reward for the viewer (as they were for readers) for having slogged through the heartache and despair that Jamie and Claire lived those twenty years. Readers who are now viewers have hopefully learned from the journey of the two seasons that Ron & Co. know that they have to “serve the story”. In my opinion, they do it very well and I have no doubt that they won’t let us down as we all embark on this next ‘voyage’. Well said! “Serve the story”! Damn woman how the heck do you capture my thoughts EXACTLY. I agree that we need to wait for their reunion in the print shop. We NEED to see their past twenty years apart. Always grateful for your words. BTW I just started The Scottish Prisoner! Yea it’s a great story! Well, I certainly had my problems with season 2, have concerns for season 3, and totally agree, they have to show those years apart to set the tone for the reunion. This blog made me cry. Really. Absolutely, we must live within Jamie and Claire’s 20 years apart. We must, perhaps reluctantly, stay there and experience their picking up and at the pieces of their lives that make them go on. To lessen that (and I think I mostly mean that in air-time), would be to cheat us out of some satisfaction when they do finally reconnect. I don’t know how many episodes we need for that, however. Five? I just know that our incredible Outlander team will not let us down when we finally get to the print shop. Thanks, Beth, for putting the right words to what most of us are thinking. As always Beth, a very acute reflexion on the nuances between book and show. It drove me to my own cogitations regarding Claire and Frank and the effects of pressure and time. There definitely wasn’t any diamonds for them but perhaps… just perhaps… the diamond born out of all that time and pressure, all that heartbreak and struggle was Brianna. Each of them, on their own way, put into her all that love that couldn’t find a proper recipient on the other. Brianna was, in a way, the outlet of all those feelings of unreciprocated love: Claire’s love for Jaime that couldn’t be for Frank, as much as she tried, went to the natural channel: the love of their daughter, so much like him; Frank’s love for Claire, which she couldn’t reciprocate also found a natural outlet in the daughter of his heart if not his loins. They each gave Bree the best of themselves and also showed her -unintentionally- what a marriage made of duty looks like and she immediately knew the difference when she saw a marriage made of love in Claire and Jaime. Perhaps our children are the diamonds of our marriages regardless of hardships or personal circumstances… or because of them. Great insight! Made me tear up! The print shop reunion should be relatively early. I feel we have been waiting for them to be really in love for all of season 2. Got to artsy fartsy in season two, writers or Ron or directors, really played with our emotion, not the story. Hey Beth! You took me right back into “Claire and Jamie” world with your first sentence and I immediately felt the everything else drift away into the magic of it again. Why do so many of us feel this way about these books and the show? I read many books but never have this same intensity of emotion with any other. It is so amazing to experience it and then find that so many other people feel the same pull. You always capture that sense of the attachment I feel. I have read and listened to everything and watched everything multiple times so I am now truly in droughtlander. Thanks for taking me back in again. Hey Jackie! I know I feel the same about reading these books! You have a gift, Beth, a very rare gift for making others like myself say “that’s exactly what I was thinking and feeling!” even if we did not consciously know it until we read your words. Thank you once again. What a lovely compliment! TY! Beth, you brought me to tears. I have not come across your blog before, but am so very pleased that I have. I will look forward to reading your beautiful interpretation that echoes my own. Thank you from my heart, which has just recently recovered from the chest heaves, tears welling, I experienced reading this post. YES! The print shop moments need to be EARNED! Absolutely! Agree completely, for book readers as well as non book readers. Great concept, and true for other aspects of the story/ show as well. THANKS! Other than the few times I close my eyes and take a deep breath, I don’t quibble with the shows. I read the books a long time ago and immediately looked for other people who couldn’t get them out of their heads and now I am gifted with this shiny visual version. I am not re-reading so thank you Beth, for reminding me of so many of the best moments. I think this is my favorite of your Outlander thoughts. Some people want the instant gratification that the print shop would bring, but the audience has to have the background to make the reunion more impactful. I wholeheartedly agree with you. It also makes for “good television.” Plans will be cancelled, dishes left undone, and children put to bed early the night we know the scene is coming! It never fails. The passages from the books that you post are always my favorite and most heartfelt. The print shop scene where Claire shows Jamie the photos of Bree and he falls “well and truly to pieces” unhinges me EVERY time!!! I,too, hope the show lets the lead up to those moments breathe because you’re correct, the payoff really does have to be earned! I didn’t read The Scottish Prisoner until last year (I know, what was I waiting for, right??) and was touched by the glimpses into Jamie’s years apart from Claire. SP speaks to Jamie’s sense of loss in a way that Voyager couldn’t. “Lord that she may be safe. She and the child.” His constant refrain. Gulp. Thanks for another great read!! I have never had the desire to read the LJG series until now..I think that is how I will spend my “droughtlander” time. I agree that viewers need to be patient and allow the heartbreak of the time spent apart from each sink in. It will make their reunion in the print shop that much sweeter. One of the reasons I love Diana’s books is that she is not just an intelligent person/writer. She is incredibly EMOTIONALLY intelligent also, which is more rare. You analyses of her writing and your reactions to it show the same 2 traits. Thanks for sharing your thoughts! Beth, again you have expressed with great care and empathy what we will have to go through to appreciate the coming together of Claire and Jamie after twenty years. I cannot imagine the pain and finally the joy of the reunion. Having read all the books, I am comforted knowing they will not have to go through that misery again. What is the best order to read the books Diana wrote around the Outlander series? Lorraine, I’m sure someone could answer the order question better than me. There is probably a list somewhere on the internet. Thanks for reading. Totally, absolutely in agreement! And that is one of the reasons why Diana Gabaldon is such a brilliant writer! She knows and fills this reader/viewer’s need! Thank you for explaining that so well. This is the first time I have found your blog. I agree that there has to be some background to the 20 years apart so we really appreciate the reunion. I personally don’t think we have to show as much of Claires side as we do of Jamies. The team has already told a lot of Claires despair. Of Jamie almost nothing. 7 yrs. in a cave ( I cannot even begin to imagine the misery) then prison, then trying to live some sort of existence. To make a life worth living. The pain for him must have been unbearable. The Scottish Prisoner shows a small bit of that;. Some of all these things must be told. As you said, to give us contex( is that the correct word) Non readers will need to know about where William comes into the story, also Marsali. It is such a big book. 13 episodes doesn’t seem enough. As an aside, I think Diana has given Jamie some of the best, funniest and most moving dialogue in the books. I lost my husband 2yrs ago after 51 yrs of marriage. I am so lost that a lot of the time I don’t know how I will live I have a loving family and I will make it but the loneliness is terrible. So I cry when I read these books but I cannot stop reading them. ((Hugs)) glad you found me. Lots more to read on the blog. Thank you for another insightful blog. I agree with everything you’ve written and wish that RDM would consider including parts of “The Scottish Prisoner” in S3. (He’s on record as saying he will just use “Voyager.”) I just fee that the LJG and William back stories are enriched by the additional novel. In response to an earlier comment, here’s a book order adapted from DG’s own site that I’ve added more details to. The first time I read Voyager I actually stopped because I was upset they had been separated for 20 years. I was hoping that somehow the time would change (even knowing it didn’t make sense lol) so they could have more time together lol. You cannot-repeat, CANNOT-go straight to the reunion. It loses every deep emotion and meaning and importance if you do. You have to really feel the pain and desperation J and C go through to fully appreciate them coming back together. Doing anything other than that would be a huge disservice to the readers AND the viewers who’ve never read the books. They won’t understand. They won’t feel it. And it will ruin everything that comes after because you aren’t as invested. I’m sure the PTB understand this and I want to see how they make it work with so few episodes. Another wonderful post. Another time you say what I’m thinking or feeling but don’t have the ability to put into words. I’m ready for the new season in part to read your insights!! Thanks for adding your thoughts to the mix! I’ve never thought they would go directly to the print shop, but I’m so anxious for them to get there. I’m guessing it will be episode three or four. I hope they do justice to the emotion of it. I don’t think they need 26 episodes for voyager. 13 should be fine. There is stuff that I feel could be skipped without harming the story. 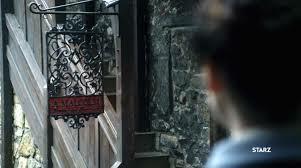 For example the smuggling episode before the return to Lallybroch, some of Mr. Willoughby’s story. Also, some of voyager was already in season 2-they’ve already found the deed of sassine, so some of the sleuthing to find Jamie will probably be compressed. I’ve been a huge fan of the “treasure hunt through history” part of the book and had hoped they would include it on the show. But my current re-read, which I’m doing with the “how to adapt that for TV” glasses on, made me realize quickly, that they can only do the essence of the story justice if they will tell the story chronologically. Switch from timeline to timeline in segments. And one of the reasons why they have to do this is to make the viewers show that they are really apart. And both of them convinced they have lost the other forever. That they live in this state of mind for almost two decades. And yes, I also believe that this will make the printshop reunion so much sweeter! the article was interesting one part of it brought tears to my eyes it was not a spoiler to me just made me anxious for the new season to start can’t wait till spring of next year seems like a long wait. I couldn’t agree more, Beth. Although some fans are calling for a shortened version of the book just to get to the reunion more quickly, I think most can appreciate that the back story needs to be told. The redemptive, cathartic nature of the reunion for our characters and the same for viewers can only be achieved if we travel the road of loneliness, confusion, emptiness, and longing with them. If we want completion and re-awakening of their love, then we need to think about how it will be intensified if we see what their relationships were with those they were close to and confrontational with in the intervening years. I stopped watching the first Hunger Games movie after about 30 minutes precisely because there didn’t seem to be anything new added on the screen. I’d read the book and my imagination of the material was at least as satisfying as what I was watching. I don’t want Outlander to be that way. I know the showrunners don’t have to listen to me or any other fan and, frankly, I want them to stay true to their vision. I sincerely hope they flesh out our characters by chronicling the building of their strength as a person in their own right and how there experiences in their own times impact the relationship to come. Can’t wait. Peggy, beautifully said. I loved your words! Beth, I totally agree with your insights on this… and what you said here in these lines, got to me the most, “he had been needing to fall apart for twenty years, but her arms were the only place he could do that…be himself…without fear” We too have to feel that loss they feel and see how their 20 years unfolded each in their own times in order to be with them emotionally at that moment in the printshop. I can read that scene again and again and still almost stop breathing when she walks in that door….. I mean she is still not sure it will be Jamie she finds there and then simply… there he is… it is an “omg” moment beyond anything I have ever read. As always, you astound me with your insights and ability to explain them. When reading your blog, I always feel like you picked the thoughts out of my head and expressed them as I never could. I just have to say that we need to see the effects of the separation on Jamie and Claire equally in order to fully appreciate the reunion. I’m working on trusting Ron to understand that. Thanks and really we don’t have a choice. Ron is going to do what he thinks best serves the story. Happy Holidays to you. Loved this. On the one hand I NEED to see the lonely years. On the other hand, I DREAD seeing the lonely years. I don’t want a shortened version, b/c then those who haven’t read the books won’t know the pain. I mean, we ALL want them together, but for the printshop to be great, we have to almost get impatient to get there. But I know that seeing and feeling the pain and loneliness while they’re apart will make the reunion all the sweeter. We have been shown the parallels between Jamie/Claire’s lives while apart and I appreciate you point out the parallels between Jamie and LjG; loneliness, men of equal, etc. I have never been a fan of LjG but each time I read a book (and I’ve read the book series more than I should) I like him a little more. 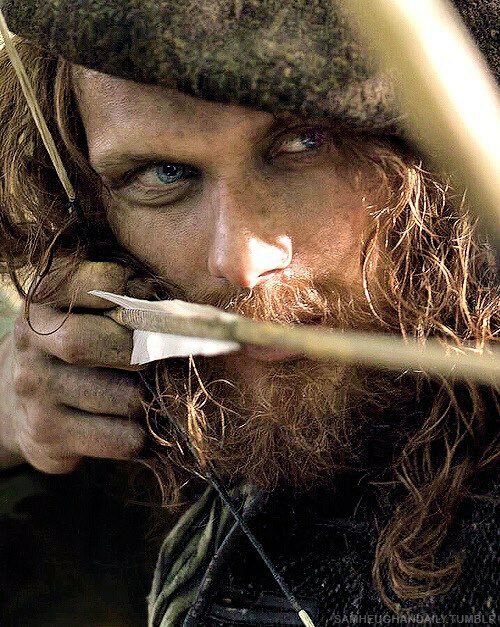 I’ve always thought he was a man of honor and integrity but I think I wished he wouldn’t love Jamie. I mean Jamie puts up with men whose after his body and shows much more patience than the average man. I began to like LJG when he was with pregnant Brianna while waiting for J/C/R. I loved their sense of humor and his genuine liking of Brianna for her sake and not because of Jamie and they were comical together. I like the friendship that develops and the closeness that John so desperately needs. I can’t wait for William to become involved with the family more. I’m sure it will happen. Thanks for your insight Beth. Thanks for sharing your thoughts Donna! Beth, I’ve just found your blog today! This should be read by every Outlander fan, who seems to think there’s not much Jamie and Claire to be found because it’s a LJG book, and Claire is “gone”. I keep recommending it for the incredibly heartrending scenes which show more backstory than is put forth in the other 8 books. I’ve read the series in its entirety multiple times, from when Book 1 came out and through the years, waiting for each of the next ones. Jamie’s longing for Claire is dear to me, and always results in a boatload of tears, as I long for the love of the man I married. I feel like Frank must feel, as he tries with all his heart to win back Claire’s love, but to no avail. I cry for all three of them. Thank you for your wonderful insight. Hi Jaye! So glad you found me! There are over 3 years of blog articles to read here! 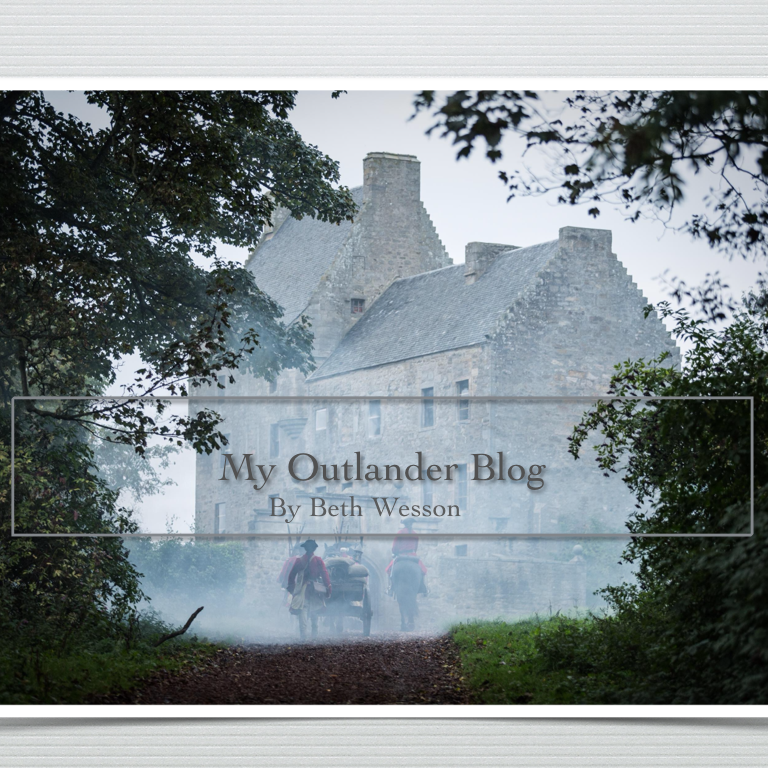 I can’t stop writing about Outlander! THIS is what I needed, a dose of Beth ! You have such a way of adding to the Humanity of the Characters. We have to want their reunion as much as they do to appreciate the hurdles they must overcome to begin life anew. Dianne did it beautifully by the written word, Ron $ Co. by the adaptation ! The “Twin Bed” scene threw me, I must admit, ut after Reading Ron’s comments on the need to show the disintegration of Clair’s marriage to Frank, it made sense. Likewise after I watch each episode, I come to you for clarification of nuances and bits my mind needed help processing. Thanks Beth ! I too stood with LJG in that hallway, desperate to offer comfort and being unable because of who you are. I am a nurse. It is who I am. I die a little when I cannot give the help needed; because of not being there, not having the ability or it would be rejected. LJG cannot offer human comfort just because he is who he was born. I haven’t any idea why my help has been rejected and my being wished away. We are afraid to share such deep emotion and as a result struggle alone, with the strong emotions roiling through our being. Diana’s beautiful nuanced and perceptive writing offers a place to realize that you are not alone in your pain and struggle. Sharing reduces the pain, just a little. It is comforting to know there is a safe place to go.